SIGGRAPH Student Services (S3)evolved out of the Student Volunteer program, which provides valuable support services to the annual conferences and an enriching, often life-changing experience for students. But the Student Volunteer is focused on two discrete one-week events each year, so S3 was created in 2007 to benefit ACM SIGGRAPH Student Members year-round as they work work toward becoming leaders of the computer graphics and interactive technologies industry. SIGGRAPH Student Services coordinates four key programs: S3 Talks, Résumé Reel Review (S3R3), S3 Mentor Me, and the Student Volunteers. 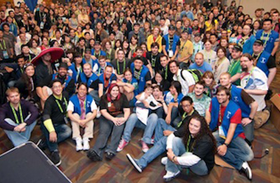 Students receive a discounted ACM SIGGRAPH membership. S3 coordinates webinars on various topics, from computer graphics career advice to tutorials on specific technical knowledge. The webinars feature industry speakers in a short lecture and Q&A format. Searching for that first internship or job can be a daunting process. S3 removes some of the guesswork by providing professional advice and opinions to ACM SIGGRAPH Student Members. 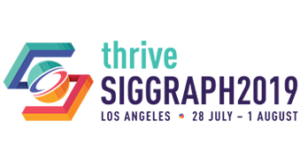 Reel reviews are conducted annually at the SIGGRAPH conference and throughout the year through online and email exchanges. One-on-one mentoring by professionals is one of the most powerful methods of learning. S3 Mentoring is facilitated through email, phone meetings, and in some cases in person. Our goal is to help foster true mentorships and long-lasting professional connections for our ACM SIGGRAPH Student Members. S3 provides multi-year continuity to the SIGGRAPH Student Volunteers, ensuring that the program runs efficiently each year and that any proposed changes are strategic, sustainable improvements. We also help vet candidates for each year’s Student Volunteers Chair and maintains the Student Volunteers Chair Handbook.